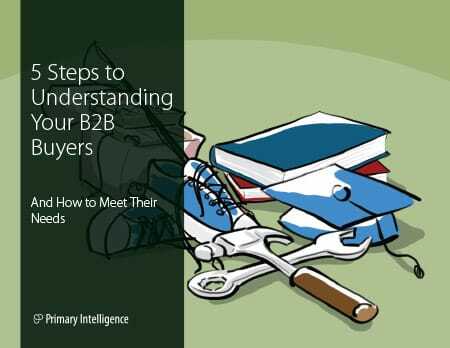 Utilize these resources to help you improve your understanding of B2B buyers' perceptions. Many underperforming B2B sales teams have something in common: They focus on selling the solution but fail to solve the business problem. 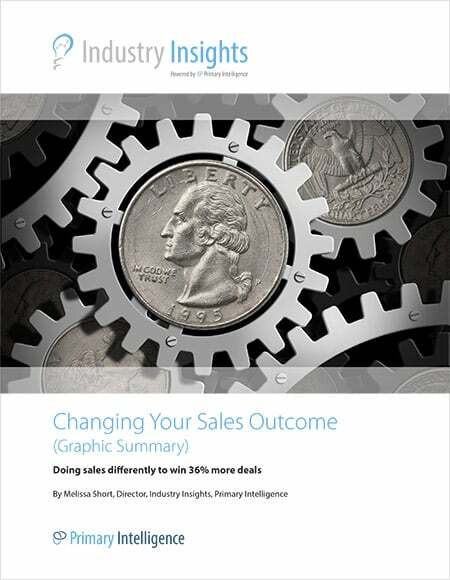 Primary Intelligence research found that less than 50 percent of sales teams are effective in understanding their prospects’ needs. 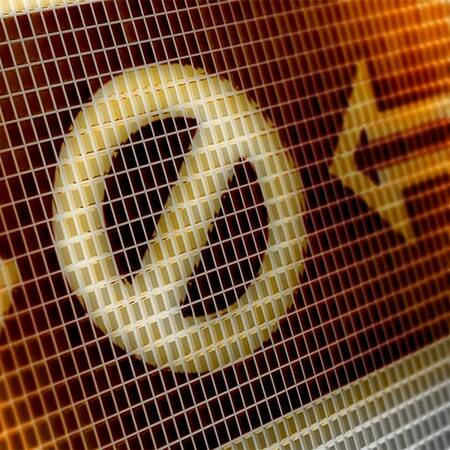 The ability to understand buyer needs is vital to any company’s success. These steps are critical to meeting customer expectations and closing deals. 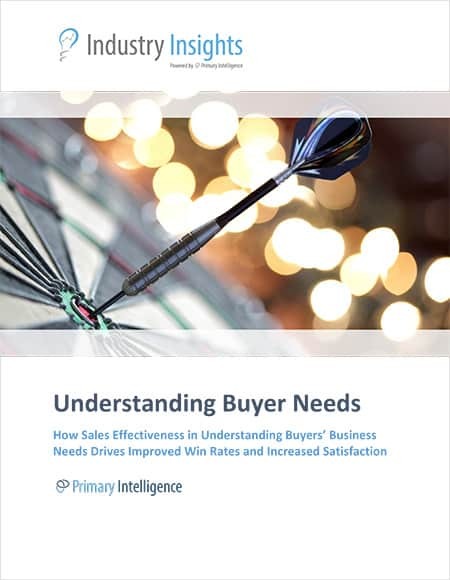 Primary Intelligence analyzed sales and product data from over 10,000 phone- and web-based interviews to understand how sellers' ability to understand buyer needs impacts sales team effectiveness, including win rates, buyer satisfaction, and overall competitive advantage. Respondents included key decision makers in a wide range of departments and functional areas. 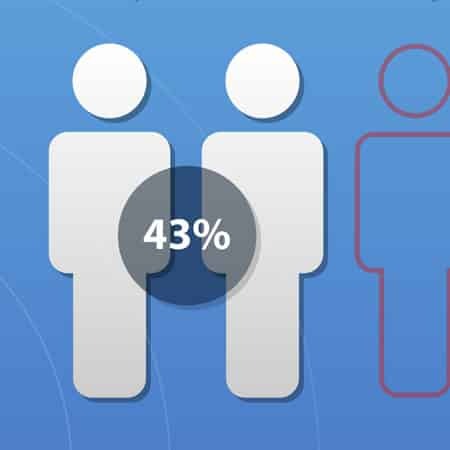 Less than half of all sales reps are effective in understanding their buyer’s needs. 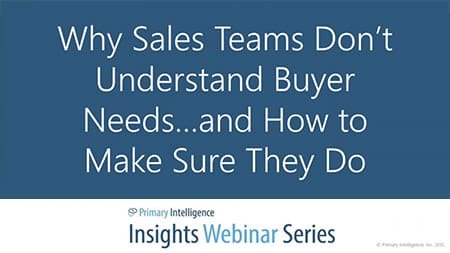 In this webinar, you will learn key findings from our recent study of what’s causing this issue, along with tips on what you and your sales team can start doing today. Your sales team might tell one story—we lost due to price! But buyers tell another. From 1,000 competitive bids, buyers explained what losing vendors could have changed to turn over 33% of lost deals into wins (hint: it’s not all about price). This visual journey guides you through the most common missteps, how to avoid them, and how to dramatically improve your win-rate as a result.